Welcome to Amoopi Bay Hotel! Amoopi Bay Hotel, is built in a traditional island style and consists of five buildings, huge grounds with beautiful gardens and a swimming pool with a breathtaking view. 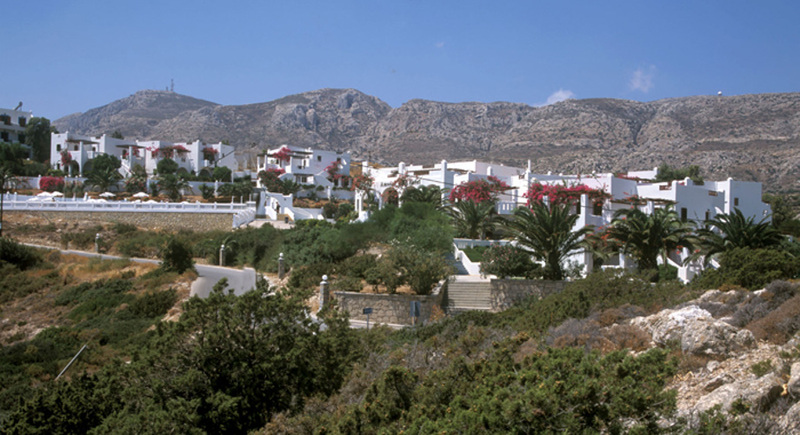 Our hotel is located in one of the most beautiful areas of Karpathos, with a panoramic view over three of the most stunning beaches. 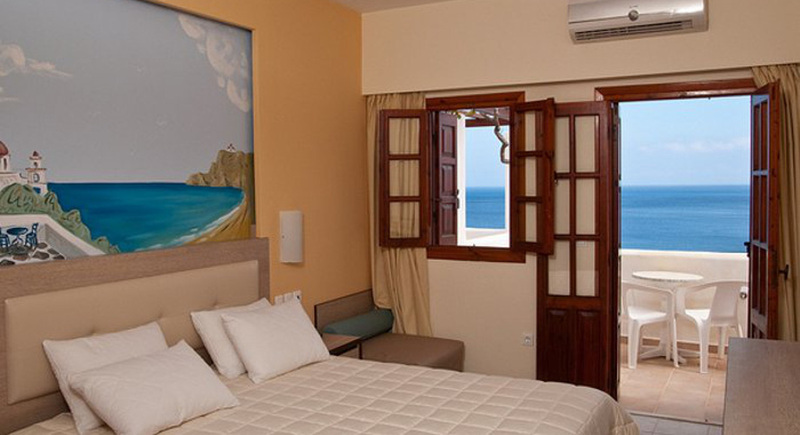 Amoopi Bay Hotel consists of 65 spacious and tastefully decorated rooms (which were completely renovated in 2012). Each has a bathroom with shower, telephone, satellite TV, air conditioning, refrigerator, hair dryer, a large balcony or terrace with view to the nearby beaches and the Aegean Sea. 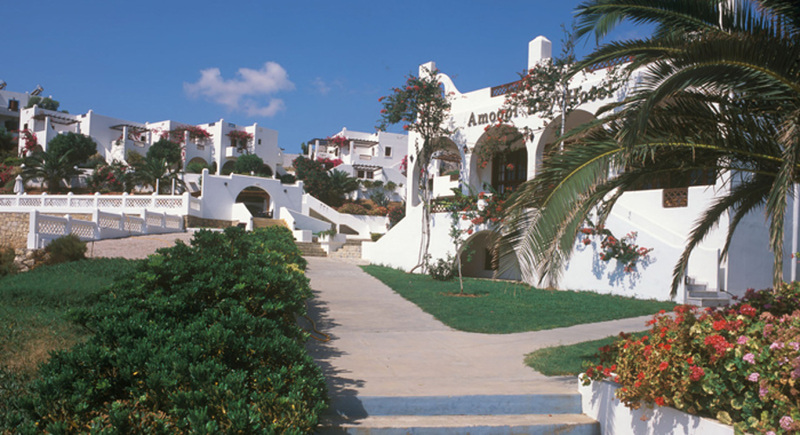 Amoopi Bay Hotel offers the famous Greek hospitality in a warm family atmosphere. The hotel's management team and the friendly & experienced staff really guarantee an unforgettable holiday. We believe that holidays should be the best days of the year. Forget the stress of the daily grind and spend your holiday with us.